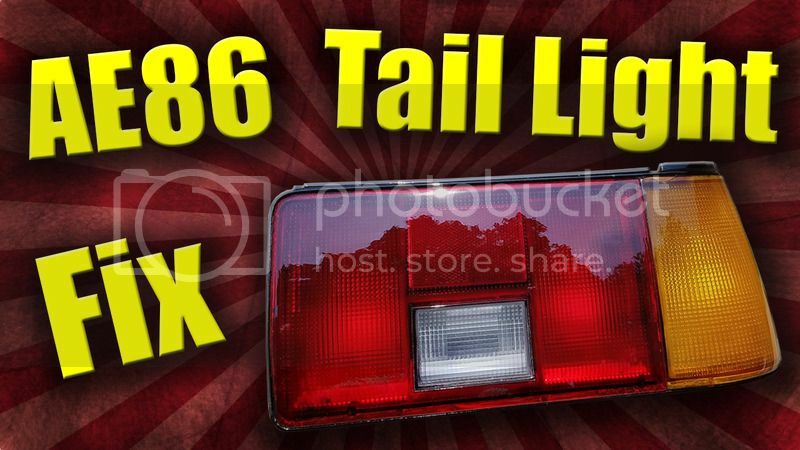 In this video, I repair and restore my old stock tail lights for the AE86. The goal was to get them as close as I could to a set of JDM tails, given the difference in the physical lights. I also attempted to repair physical chips in the lens, with a 2 part epoxy and paint before restoring. The final result was not exactly what I had in mind, but I was super excited with how they turned out! Anyone can do this project, it just takes some time and around $30 - $40. Goodluck and I hope this video helps some of the DIY'ers out there! Dude ... just finished watching the video. Jayrdee wrote: Dude ... just finished watching the video. How could I miss this video...sticky done. I wish you were my neighbor when I was reside in SoCal....LOL. I have one question, the "ulitmate clear" that you used at the end, do you have to use the entire can once you pop that red cap? We do have very similar product over here in Japan as well that probably do very close job like the one you shared. Again, thank you for sharing great video.